NARS is a cosmetics and skin care company owned by Shiseido and founded by a renowned French make-up artist and photographer, Francois Nars. Founded in 1994, the cosmetic line launched twelve lipsticks that were marketed at Barneys New York. Ever since, Nars fashioned and produced countless of cosmetic and beauty products. Some of the most popular NARS creations include blushes, bronzers, powders, lipsticks and their world renowned eye-shadow palettes. Fabien Baron, created the minimalist packaging of NARS products and it has been acclaimed as a modern design icon. Nars started his first advertising campaign in 1996, doing the ads photography himself. What is NARS Loose Powder? Sheer and extremely natural coverage to set make up. Soften color and even up skin texture for overall radiant complexion. The ultra-smooth formulation sets undetectably into the skin, it absorbs excess oils and preserves fresh looking skin with an imperceptible polish. Package comes complete with powder puff together with its own plastic and mesh sifters to enable the finest and utmost natural application. To set foundation and concealer, apply the loose powder with a puff and then dust away an excess using a loose powder brush. To set a favorite shade of matte lipstick, put on one coat of lipstick, set with the powder, and apply the lipstick again. To soften intense eyes or cheeks look, dip brush in the loose powder blow excess and dust it over skin coloring that appears condensed. How long the Nars Loose Powder does lasts in a day? Nars Loose Powder has a lasting power that is very good. It mattifies for hours and keeps make up looking fantastic all day requiring only minimal touch ups. How much does Nars Loose Powder costs? A package of Nars loose powder weighs 1.2oz and costs $35.00. A number of suppliers also offer free shipping cost for the product. 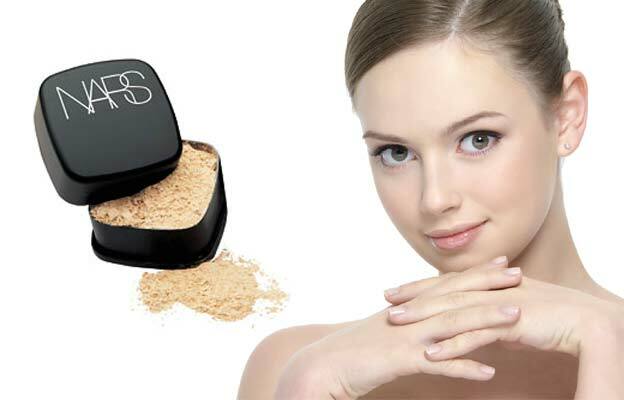 Loose powder is an essential item in a woman’s beauty bag, and the search for that perfect powder to give your face the stunning finish is not a menial task. 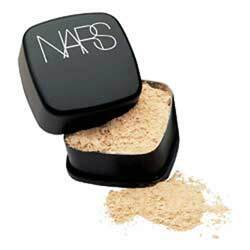 The NARS Loose Powder qualifies to be one of the preferred brands in the market due to high quality of the product. A number of consumers approved of the product’s sheer and light texture on the skin as well as of the soft and natural finish it delivers. However, like with most products, there will always be a room for improvement. And for NARS Loose Powder, a lot of critics commented on the poor packaging of the product. Because the packaging is big and bulky, consumer’s complained on its not being travel-friendly. Also the mesh tends to scatter the powder and most of the time might leave you with a messy bag or powder counter. Nars Loose Powder may be a good product to try if you are still in search of the perfect powder for you.